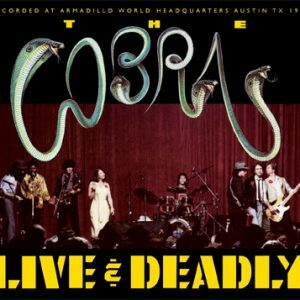 As someone who came to Austin in 1973 to write about music, Armadillo World Headquarters was graduate school, exposing me to more different sounds than I knew existed, from Mance Lipscomb, Greezy Wheels, Joe Ely, Willie Nelson, Waylon Jennings, Doug Sahm, Freddy Fender, and Roky Erickson to the Clash, Elvis Costello, Talking Heads, the Ramones, AC-DC, Parliament-Funkadelic, Old and New Dreams (the quartet that backed Ornette Coleman on the groundbreaking album “Shapes of Jazz to Come”), Phil Woods, Herb Ellis and Barney Kessel. Years after the Armadillo closed its doors on New Year’s Eve, 1980, I learned its back story – how it operated as a collective, how each person who worked there had a role, how it was always hanging by a thread financially over its 10 years of existence, and how the people who ran the place were really in it for the music. A key figure was Hank Alrich, who found money to keep the institution running more than once and who captained the ship over its final five years. Above all, Hank was the music guy, the one who built a recording studio on premises and ran the Armadillo Records label while playing in an array of musical ensembles. When the Dillo closed, Hank retreated to a remote cabin in the mountains of northern California and continued to make music with his family and friends. 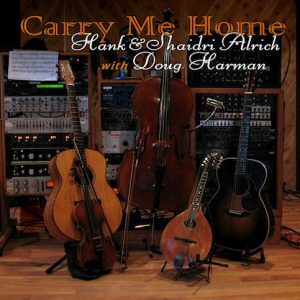 For Hank’s daughter, Shaidri, making music was second nature, since she grew up singing and playing guitar and fiddle. She and her father played as a duo around Plumas County during her teenage years and developed a fervent following until she struck out on her own at the age of 17 – her own graduate school of music, such as it was. Whenever she returned home, Hank and Shaidri would play music together. After performing at an open mic night sponsored by the Plumas Arts organization, people asked if they had a CD recording to buy. “She came through in the spring of 2007 and obviously she had been singing a lot and getting back into her fiddle,” Hank said. 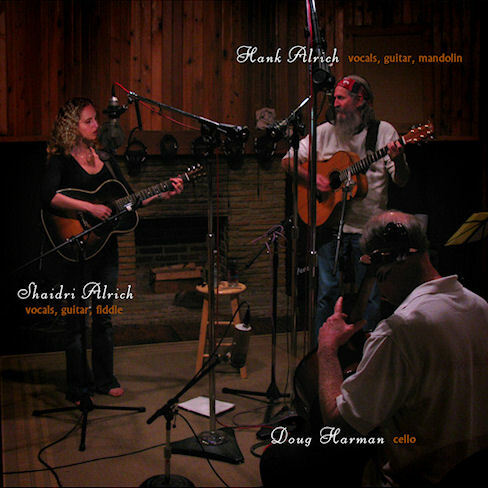 “We did some casual recording just for fun, and I gave her a couple of new-old songs, including ‘Darlin,’ Don’t Wait Up for Me Tonight’ and one of mine that I wrote ages ago but had forgotten about, ‘Davis Brown,’ a tragic faux-folk ballad. Shaidri moved to Austin that May. When Hank showed up, they started playing gigs at the storied Threadgill’s Old #1, the spiritual heir to the Armadillo where Janis Joplin came of age as a singer. Audience requests led to more talk of recording and finally, talk turned to reality when Fletcher Clark (another Armadillo vet who was leader of the Dillo’s most storied house band, Balcones Fault) stepped in to oversee the project. Cellist Doug Harman was brought in to anchor the bottom. Over the course of three days in November 2009, this album happened (head-on, no headphones, no overdubs). 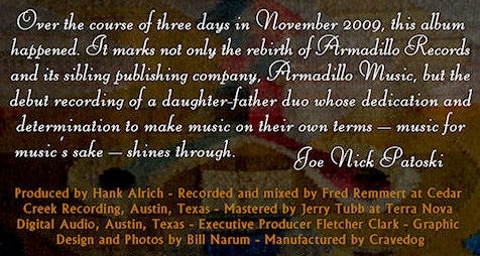 It marks not only the rebirth of Armadillo Records and its sibling publishing company, Armadillo Music, but the debut recording of a daughter-father duo whose dedication and determination to make music on their own terms – music for music’s sake – shines through. It’s about time. But the wait, as you will hear, was well-worth it. Graduate school never sounded this good. I left Austin in 1983, and while I have since been living about as close to real paradise as one can get in the US, there is no denying that the music scene in Austin is another kind of paradise for many of us. A few years later, while driving somewhere I can’t recall, the chorus for this song started rolling around in my mind’s ear, and pretty soon the first verse showed up. I hadn’t a portable recorder with me, and I didn’t stop to write it all down, and in short order the whole thing slipped my mind. In early 2002 I was loading the van for a trip to Austin, Texas, to handle sound reinforcement for a Go Dance! showcase. I had been back to Austin only twice since leaving my old home on Comanche Trail near Lake Travis , and I was excited about the opportunity to see old friends. My daughter Mylie owns and operates Go Dance! and she had asked me to improve sound delivery at the showcase, as she’d not been happy with it at the previous events. For years while still at home Mylie had been part of my sound reinforcement road crew and she had learned that live sound can actually be good. While I was carting stuff to the van, which took the better part of an afternoon, this song began its own journey home. Little by little, lines began to return as fragments of the nascent song looped in my brain, and by the time I’d finished loading, I had the whole first chorus back, and parts of the first verse, too. I pulled out from the home place about 5 PM, planning to drive into the night after leaving with the sun at my back. I stopped in Reno, Nevada, to grab some stellar Mexican food at Beto’s (575 W. 5th St, if you’re ever in Reno and want some real, down-to-earth Mexican food). A good dose of hot stuff was just the ticket for the beginning of a long drive, and I headed out of Reno on 395 intending to take Highway 50 at Carson City over to 95 heading south. As I drove through Washoe Valley the song took me over. I completely overlooked my left turn, and hours later found myself still on Highway 395 and almost to Bishop CA! I studied the map, backtracked to the first available route east, and eventually hit my intended route. I would’ve been seriously irritated except for being so grateful that this song I’d left somewhere along the road had found its way back to me. Over the next few years I’d get an idea for another verse, but none that really worked to my satisfaction. I sang the song anyway, having come up with a second chorus, and people seemed to like it, especially people who had traveled to Austin to sample the live music scene. Late last year the second verse showed up for real, and then a third chorus. Early this year I declared it finished. Usually I can’t stand songs like this, written as if for the Chamber of Commerce, save one word. In this case it came from somewhere deep within me, and turns out to be an apt and positive expression of longing for music and friends I used to hear and see on a daily basis. And thereby the perfect song to open this recorded collection. You hitch your wagon to a shooting star. Then you get where you were going, and there you are. Feel that Texas country in the air. When I see that AUSTIN CITY LIMITS sign. Everywhere you go folks fret and hurry. They can’t take time to laugh and look around. Try not to let the bastards grind you down. I first learned this song from a Charlie Poole and the North Carolina Ramblers LP in the 1960’s. Playing with San Antonio band Tiger Balm back then, I more closely followed that version, with our fiddler Tommy Cullpepper recreating Posey Rorrer’s wonderful fiddle part, originally recorded in 1929. I mostly forgot about the song for almost two decades, recalling it occasionally for a song circle or jam. Then, Shaidri and I started doing it some years ago, and as is usually the case, in the interim my combination of fluctuating memory cells and wandering musical attention span pulled the song into the version offered, with minor changes in melody and lyrics. Shaidri’s harmony just knocks me out. At her suggestion this became a duet with both of us singing all the way through. I know cello is not traditionally a string band instrument, but I think Doug’s part fits beautifully here. Think of it as “church bass”, a context in which cello was often played. Click here for some interesting history of the song. I heard the cry I ever will remember. On another fated city of our land. From every breeze that passes by. All the world was one sad cry of pity. Fair Baltimore the beautiful city. The wind blew a gale from the ocean. But their efforts all proved in vain. The Town of Ellenton, SC was incorporated in 1880. Nearly all its life, it was an agricultural, trading, and sawmill town. It declined through the downturn of cotton prices after World War I and the Depression of the 1930s. By the early 1950s, Ellenton had a population of about 760, about 190 residences, about 30 commercial buildings, five churches, two schools including Ellenton High School, one cotton gin, a city hall and jail, and the railroad station. Ellenton had the first automatic telephone dialing system in South Carolina. After the bank failures in the Great Depression, Ellenton had the first cash depository in South Carolina. On November 28, 1950, the U.S. Atomic Energy Commission and the E. I. du Pont de Nemours Company announced that the Savannah River Plant would be built on about 300 sq. mi. of Aiken County, Barnwell County, and Allendale County in South Carolina. The Savannah River Plant was built for the production of plutonium and tritium for the H-bomb. About 6,000 people and 6,000 graves were to be relocated. This included the incorporated communities of Ellenton and Dunbarton and the unincorporated communities of Hawthorne, Meyers Mill, Robbins, and Leigh. A significant fraction of those removed were African-American farmers and sharecroppers. The government purchased their land at ten dollars an acre or less, or simply condemned the property. 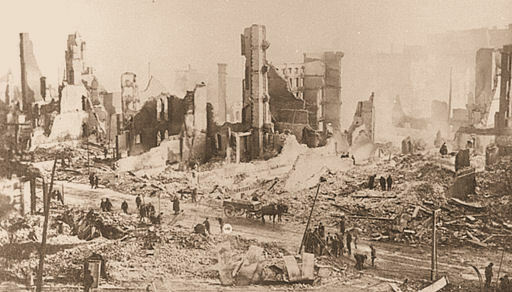 Many of the residents moved themselves, and in some cases, their homes to the new town of New Ellenton, South Carolina on U.S. Highway 278, which was eight miles north, and nearby Jackson, Beech Island, Aiken, North Augusta, and Augusta, Georgia. Some moved out of state. Eventually, nearly all that was left behind were the streets, curbs, driveways, and walkways. The Death of Ellenton was written by Jesse “Papa” Johnson & Dixie Smith. I first heard it from Rosalie Sorrel’s Somewhere Between LP, released in 1964, and it struck me powerfully. Our nation was engaged in repressive conflict in Vietnam, and the picture this song paints of the dismissal of a rural town in order to build a plant to produce H-bomb fodder stood as a stark reminder of government power. Ellenton was but one of several little towns taken to make space for the Savannah River Plant. Decades later we find ourselves continually at war for reasons that many of us are unable to rationalize without invoking tremendous cynicism.